Many people in the country have started using key safes. They are very useful for leaving a spare key behind for a partner or a child or even a carer for a elderly relative. Key safe’s bring great peace of mind to know there is always another way into your home. Unfortunately criminals develop new ways to enter your home and they will always lock for an easy way. A key is certainly the easiest way to get into your home. Many key safes on the market are actually a weakness for home security. They even potentially lower your security at home. Common key safes can be forced open relativity easy by criminals and that is why it is important to listen to professionals when it comes to securing your home. As professionals in security we only recommend one type of key safe and that is the ‘Supra C500 KeySafe™. Our honest opinion of the key safe is it is the most secure option of the market. It was the first key safe in the uk approved by the police and is actually accredited to LPS 1175 : Issue 6, Security Rating 1. 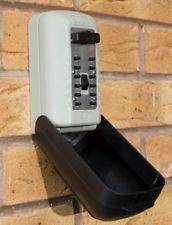 At keywise we supply the key safes at the cheapest cost we can as a trading company is home security. We install the key safe to the correct guidance that gives the safe the security rating that it has earned. If you are interested in a key safe that will make you feel safe as well please contact us any time. Don’t forget we also carry out free security checks for our local customers because we believe in home security as we are a local family that hold community values close to our hearts. Alternatively KeyWise can be reach from the office at 02381550025.